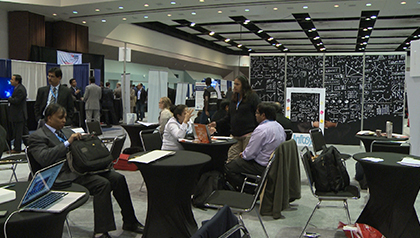 CauseTech celebrated its official launch at TiEcon, the world’s largest conference on entrepreneurship. Learn about how UNICEF Global Innovation Centre is pulling in the private sector to crowdsource innovations that overcome limitations in this feature video. Geoff Johnson was one of a group of five dozen white South Africans to form the ANC delegation. An activist in the apartheid movement, here is Johnson’s story. He takes us along road winding from disrupting rebel sports tours through to being an early stage employee at two massive businesses built by among SA's finest entrepreneurs. South Africa has 100 active neurologists serving a population of nearly 57 million. UCLA is working to bridge this gap and bring specialized training and transformative care to those who need it most. Visit spark.ucla.edu/SouthAfrica to learn more. South African's Minister of Science and Technology joins SABLE in discussing technological advancements coming out of South Africa as well as the promotion of entrepreneurship within the country. The SABLE expat community shares the goals of the minister to build South African's economy through promotion and funding of innovative startups coming out of the country. Among startup case studies discussed was TWERLY, a renewable energy street lighting solution coming out of the Nelson Mandela Metropolitan University. A collaboration between the United Nations Children’s Fund (Unicef) and Rhodes University could revolutionise the manner in which diagnostic testing related to HIV/Aids is done in the field. Unicef's Global Innovation Centre has partnered with the Eastern Cape institution’s Biotechnology Innovation Centre to develop a rapid, cost effective testing strip that will determine a patient's CD4 count in less than twenty minutes. South African entrepreneurs have become increasingly high profile in Silicon Valley, the California mecca for start-up technology companies.Sable Accelerator is a consulting network of South African expats, headquartered in Silicon Valley. Donovan Neale-May, managing partner of The Sable Accelerator LLC (SABLE) draws comparisons between South Africa and South Korea. In Pretoria, South Africa’s first national business idea competition, aimed specifically at inventors and innovators, has announced its 2013 winners. The winners and runners-up include a unique spray to rapidly detach braids from natural hair, a cattle "breathalyzer" that can diagnose diseases and eliminate the need for lengthy blood tests, and a South African "drone" used for aerial firefighting. Taking the professional speakers circuit by storm, Kivi Bernhard has been requested to keynote audiences from the Bahamas to Bangkok. Described by a leading international speaker bureau as "one of the most promising and talented speakers in the world today" Kivi is a riveting and captivating speaker and is renowned for his platform excellence. Based in Atlanta, Georgia, Kivi was born and raised in Johannesburg, South Africa. After relocating to the USA in 1997 with his wife and family and a total net worth of $860.22, Kivi went on to build a multimillion dollar international wholesale diamond business. With the aid of award winning footage, Kivi uses the hunting habits and techniques of the African leopard, perhaps the most successful feline predator on earth, to draw metaphors of personal and corporate leadership, trust and success that will simply leave you spellbound. Now the author of the internationally acclaimed business book Leopardology™ -- The Hunt For Profit In A Tough Global Economy, (MJP of New York 2009) Kivi Bernhard has received accolade from some of the finest business schools in America. South Africa’s Council for Scientific and Industrial Research (CSIR)—a government- and private sector-funded research and innovation hub—has just made a major global breakthrough in laser technology, which could help shape the future as fundamentally as the “tube” behind television. This technology was developed by the CSIR's National Laser Centre and is the world's first digital laser, which allows the laser beam to be manipulated into multiple shapes, whereas traditional lasers appear only as a small point. While it is still being refined, this multifunctional technology will ultimately simplify numerous applications and will have implications across a number of industries. Watch the video to learn more. South Africa is home to many innovators and inventors. In this insert we take a look at some of the South African innovators who have made their mark both locally and globally. Plus we look at what The Innovation Hub is doing to help nurture our future innovators. Entrepreneur technology hubs are becoming incredibly popular in South Africa as we try to stimulate small businesses and make use of technology to level the playing fields between big and small business. We look at some of the initiatives re-shaping South Africa and how big international corporates are doing their bit to support local entrepreneurs. This is my advice for early stage entrepreneurs based on what I wish I had known ten years ago. It would have saved me years of time and frustration. Most importantly, it would have enabled the Taproot Foundation to help more people in need. Good Life Project(tm) founder, Jonathan Fields, interviews former venture capitalist turned business coach, Jerry Colonna. Siphelele Chirwa, an 'activator' from South Africa, talks about her experience of joining a civil society organization (Activate!) 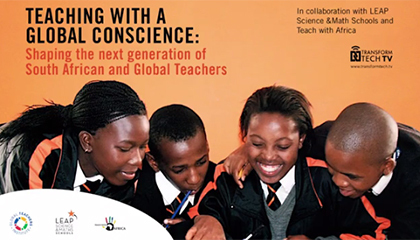 that is joining her and other young South Africans to think innovatively to tackle the country's many challenges. Founded in 2005, the African Library Project is celebrating the shipment of its 1,000,000th book to nine countries in Africa. The books start small libraries in rural areas of anglophone Africa. A South African Video describing Open Innovation. This video was recorded during the RIIS workshop session at South Africas 2nd Innovation Summit held in Maropeng in August 2009. You are welcome to use this video as a training tool on Open Innovation. We talk about: What is Open Innovation? The challenges of Open Innovation. The benefits of Open Innovation. The tools for Open Innovation. Implementing Open Innovation. Featuring in order of appearance: Maggie Fikkert, Andy Zinga, Jeanette Morwane, Cobus le Roux, Eve Dmochowska, Tjaart le Roux, Isaiah Engelbrecht, Nirvashnee Seetal, Helena Gabriels and Audrey Verhaeghe. Vinny Lingham, successful tech entrepreneur from South Africa, joins The Hangout to chat about his journey to Silicon Valley, finding skilled people to work with, the attributes and metrics venture capitalists look for in a new venture, his thoughts around the mobile space, the future of South African eCommerce and much more. She first brought us Africa's Greatest Entrepreneurs. And now she has turned her attention to South Africa in her new book, South Africa's Greatest Entrepreneurs. Moky Makura joins us now to discuss the inspiration behind the book. How are entrepreneurs faring in general? Not too well according to a recent conference in Johannesburg, we heard entrepreneurial activity in South Africa had dropped to 5 %, half of that of countries like India and Brazil. Seventy percent of South African businesses fail, largely due to a lack of funds. We went out to speak to one of the nation's battling entrepreneurs Langa Sangoni, CEO of Apple Green International. New Brand South Africa television commercial featuring several prominent South African celebrities, sports stars, entrepreneurs and entertainers. Behind the scenes of Brand South Africa's new television commercial with leading local stand-up comedian Trevor Noah, who is now taking his act beyond South Africa's borders. Behind the scenes of Brand South Africa's new television commercial with South African athlete and Olympic silver medal winner Khotso Mokoena, who specialises in long jump and and triple jump events. Behind the scenes of Brand South Africa's new television commercial with South African actor, author, businessman and world champion surfer Shaun Tomson. Frank Moyes says that the keys to a successful business are universal, whether its in South Africa or south Boulder. And the Instructor of Entrepreneurship at the Leeds School of Business should know: Moyes is involved with a partnership of college students and business entrepreneurs through the University of Stellenbosch, one of South Africas leading universities. Entrepreneurship is regarded as one of the most powerful drivers of economic growth and prosperity, yet South African entrepreneurs are seemingly still finding it tough to find their feet. What's keeping them back and what is the current state of entrepreneurship in South Africa. That's the topic of this week's Entrepreneurial Edge. On this week's episode of Entrepreneurial Edge we speak to people who coach entrepreneurs. How does it work, and what can they do for you? Our guests in studio this week are Harry Welby-Cooke and Pieter Scholtz, Master licensees of ActionCOACH SA.